Tina Valentine teaches Art, English as a Second Language, and Computer Science. She graduated from Central Michigan University with a Bachelor of Science degree in English language and literature with a concentration in writing. Tina was born and raised in Monroe, and attended Monroe County Community College before transferring to CMU. After graduation, she traveled around the United States, particularly in the southern and western states, working two summers in Yellowstone National Park and a winter in Everglades National Park. She spent nearly a decade living and working in the Atlanta, GA area as a technical writer for software development companies. She has traveled to Austria, Germany, the Netherlands, and Canada. Prior to joining the MMS staff, Tina worked for LA-Z-BOY, Inc. as a continuous improvement specialist and project manager in their manufacturing division. Tina enjoys reading, gardening, sewing, decorative painting, hiking, and spending time with her family and pets. Her daughters, Ava and Kate, are Middle School and Upper Elementary students at MMS. She and her family live in Monroe, MI. 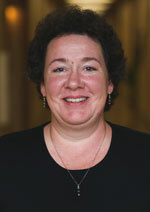 Tina Valentine can be reached at tvalentine@meadowmontessori.org.